A Best Book of the Year: "The Washington Post Chicago Tribune "NPR" San Francisco Chronicle USA Today The Huffington Post Kansas City Star Financial Times BookPage"
In post-Arthurian Britain, the wars that once raged between the Saxons and the Britons have finally ceased. Axl and Beatrice, an elderly British couple, set off to visit their son, whom they haven t seen in years. And, because a strange mist has caused mass amnesia throughout the land, they can scarcely remember anything about him. As they are joined on their journey by a Saxon warrior, his orphan charge, and an illustrious knight, Axl and Beatrice slowly begin to remember the dark and troubled past they all share. By turns savage, suspenseful, and intensely moving, "The Buried Giant" is a luminous meditation on the act of forgetting and the power of memory, an extraordinary tale of love, vengeance, and war. 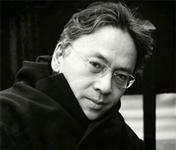 Kazuo Ishiguro's seven previous books have won him wide renown and numerous honors. His work has been translated into more than forty languages. Both "The Remains of the Day" and "Never Let Me Go" have sold more than one million copies, and both were adapted into highly acclaimed films.